The Exchange CEO Brian O’Shea announced on Thursday (March 22) the company has acquired international rights to Sundance hits We The Animals and Blaze and will launch sales in Cannes. 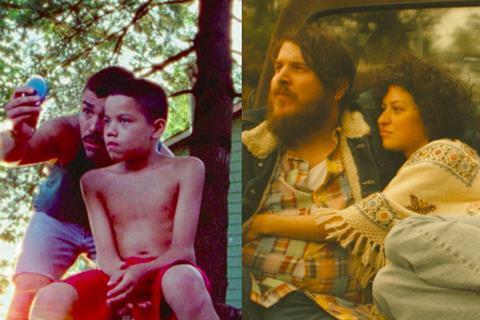 Jeremiah Zagar directed We The Animals, which Cinereach and Public Record produced and will screen at the Tribeca Film Festival next month following its world premiere in Park City in January, where it won the NEXT Innovator Award. Raúl Castillo, Sheila Vand, Evan Rosado, Isaiah Kristian, and Josiah Gabriel star in the coming-of-age tale adapted from Justin Torres’ novel about three young brothers and their journey from youth to manhood. The Orchard holds North American rights. Ethan Hawke wrote and directed Blaze, which tells the story of American singer-songwriter Blaze Foley, a Willie Nelson contemporary from Austin, Texas, who died aged 39 in 1989. Lead Ben Dickey won the U.S. Dramatic special jury award for achievement in acting at Sundance. The drama just screened at SXSW and also stars Alia Shawkat, Josh Hamilton and Charlie Sexton. Under The Influence Productions, Ansgar Media, Cinetic Media, and Village Studios produced. The Exchange’s sales slate includes the Tribeca 2017 selection Flower, which scored the second highest per-screen average at the North American box office last weekend. The comedy-drama expands into 20 major markets through The Orchard this week ahead of nationwide roll-out on March 30.